Phase I: New construction 95 room select service Holiday Inn. 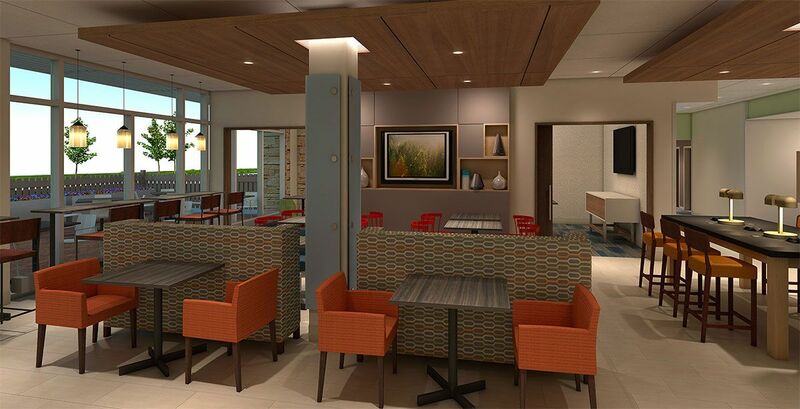 Hotel will offer conference space, a lobby bar, and bistro. Phase II: New construction 87 room select service Holiday Inn Express. 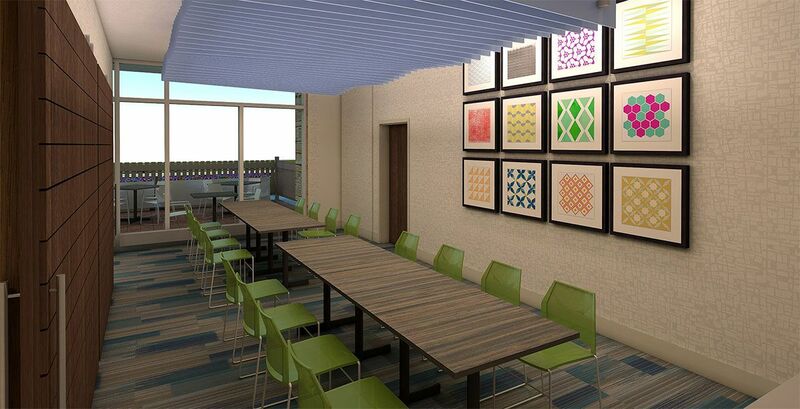 This hotel will be developed using IHG's latest design, Formula Blue. This proposed 5-story structure for the Holiday Inn will implement a concrete masonry unit podium. 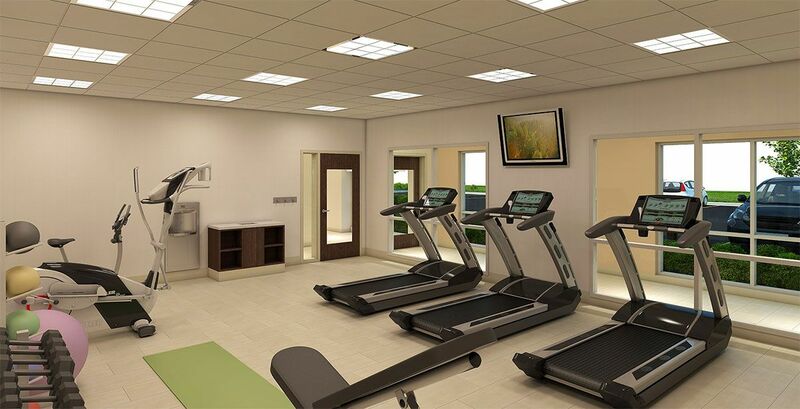 Both hotels were designed to complement each other while sharing common amenities like swimming pools, fitness center, and a large outdoor courtyard. The overall site design maximizes green space while maintaining a high density building design focused on energy efficiency. Allowing a centralized management team to operate both brands allows for higher operating efficiency and better guest experience. The concept allowing two similar use properties to share in the singular development of common amenities like a swimming pool, fitness center, and an outdoor courtyard allows for larger scaled amenities and a more luxurious guest experience. 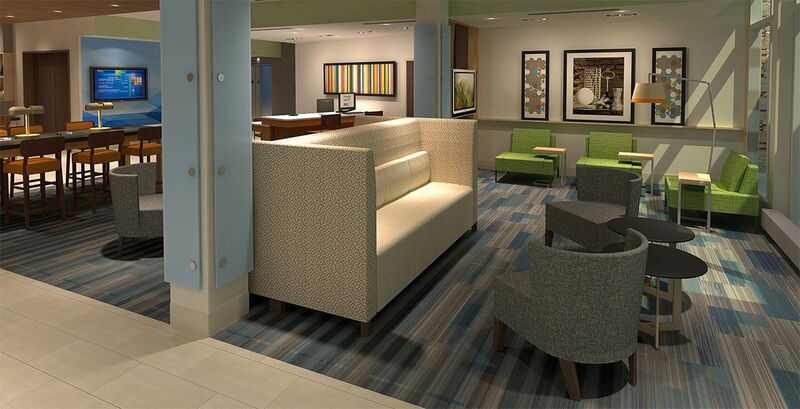 The design integration between both hotels is mindful to allow guest from the HI-Express access to the bistro within this Holiday Inn. In addition to dual-branding, and being backed by IHG’s central reservation system, it’s important to note that the proposed development is located in a corporate business district and just down the road from Woodfield Mall and Streets of Woodfield. Being located in the north-west suburban market and surrounded by 27 million square feet of office space allows for convenient use of meeting rooms and corporate lodging. 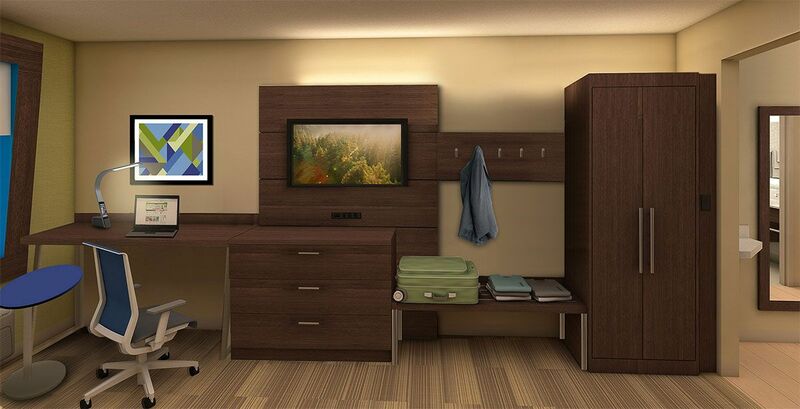 Leisure travelers to Woodfield Mall can easily identify overnight accommodations from I-290/355/53. This development is also designed to support the sports families that choose to play on Olympic Park's state of the art 72-acre synthetic turf soccer field. In conclusion, there are demand drivers for corporate & leisure travel 7-days a week on this site. The northwest suburban Chicago market in general is a hub for commerce, home to many headquarters, and attracting major shows and weddings within its boundaries. The market continues to grow as evidenced by new development activity across all sectors; retail, restaurant, hospitality, and roadway infrastructure. 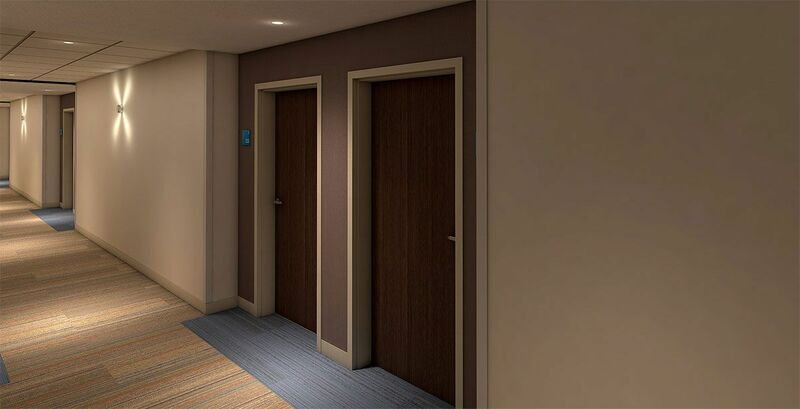 This project is aimed at capturing and upgrading the quality of IHG's transient travel segment in the NW suburban Chicagoland market. Sponsor: Equityroots, Inc. organized this hotel development with the assistance of Intercontinental Hotel Group, Mackie Consultants, and Luna Architecture + Design. IHG designated this project as a replacement asset for an existing 230-room Holidome. Operator: An experienced 3rd party management company with a winning track record of customer service and accountability will be selected to operate the day to day operations of this property. There are a number of reputable national management companies that have expressed an interest to manage this property. Management team will be selected at time of starting construction. Thanks to: Hines, IHG, CBRE, CGMT, Mackie Consultants, Satkar Hospitality, Luna Middleman Architects, HA&A. Personal thanks to: Mark Smith, Peter Greene, Shawn Siemers, Sharad Dani, Marty Burke, Anthony Martini, Michael Werthmann, Robert Luna, Adam Gill, Christina Velasquez, Mr. Modi, Hans Detlefesen, Pratik Patel, Dan Shapiro, Brian Close, David Lavan, and Gregory Dose. A Big THANK YOU to every INVESTOR participant. Question: Is it really worth it to build a new hotel? Why don't we just purchase and renovate a existing property? The answer to your question depends on the market. For this particular market, the benefits of developing new hotel outweighed all else. See our blog page for a more detailed answer. Question: Does this investment claim depreciation like I do for my own business and tax matters? Answer: Yes, the business manager will claim depreciation on everyone's behalf and will share it pro-rata with every investor. It will reflect in the Schedule K1 that you will receive around tax time every year. Question: Will investors start receiving a return immediately? Answer: No you will not. This particular investment will not offer any cashflow for the first few years because the hotel will be under construction. It will distribute earnings on an annual basis when the hotel is up and running. The real-estate should also increase in value over time, which will be recognized at time of sale. Question: Do investors receive special discounts or perks at the property? Answer: Investors will receive special "owner" rates through the fund manager exclusively at this property. Investor privileges come with conditions and limitations further explained in the Equityroots' Owner Card.